There are so many variations of banana bread recipes out there so I figured why not add one more to the internet! 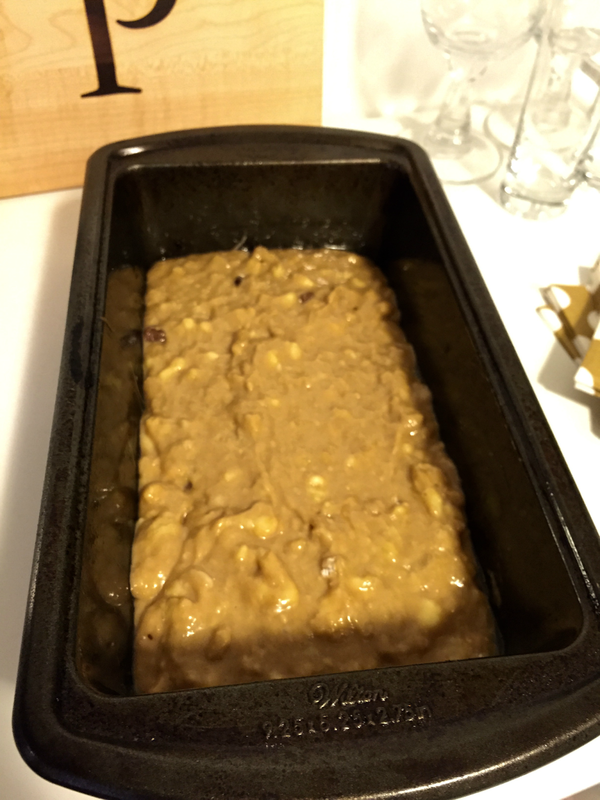 I first discovered this banana bread recipe two years ago, but have made a few adjustments by using brown sugar instead of regular sugar and of course adding chocolate chips!! The best part is that you don't need a mixer for this recipe and you only need one large mixing bowl! 3. Combine the baking soda, sugar, the egg, vanilla extract, chocolate chips and just a dash of salt. 5. Place in oven for an hour and you should be ready to enjoy your delicious bread! What's your favorite way to enjoy banana bread? If you're not a fan of Banana Bread check out my post on Celebrity Wedding Hair Inspiration! We are huge banana bread fans in this house, but without the chocolate chips! I'll have to give this one a try! Yum! One of my favorite treats!! I usually add in coco powder to mine too. It's like "guiltless" chocolate cake!! I love banana bread but have literally never made it. My mother always makes it and when I go home to visit she's shoving one in my bag. I knew she liked Mark when she tried to give him one as well ;-) I like how you put chocolate chips in yours! i love an easy recipe and love the substitute for regular sugar. i've never thought of adding chocolate chips. great addition. Mmm I love banana bread! How have I never tried adding chocolate chips before?? Oh holy yum! I'm a huge fan of banana bread but have grown tired of our standard recipe. Will definitely have to try this out! I love easy baking recipes that don't require you to lug out the mixer! Plus is the perfect way to use up any bananas that are on their way out. Can't wait to make this for my son! Guuuuuuuuuurl, I love me some banana bread! Love the addition of chocolate :)! 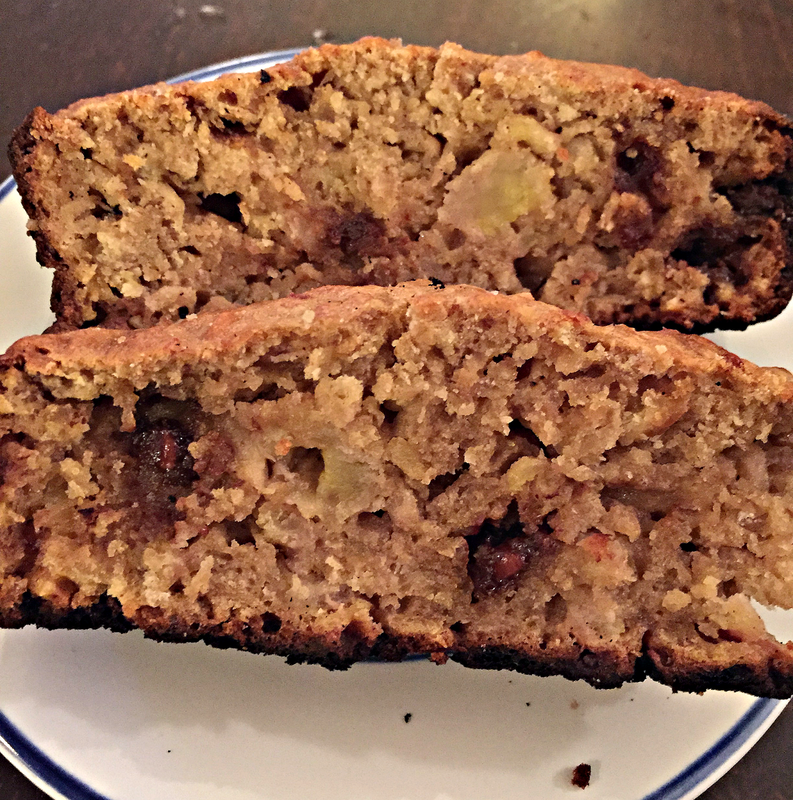 I love banana bread, I found a Paleo version I love that also uses chocolate chips, so good thinking. So yummy! i love me some banana bread! since i've been grain free, i make a different version using coconut flour and no sugar and it's good! Yum, yum! I love banana bread!! YUM, you just put my protein shake breakfast to shame with this, doll! Ha! I love banana bread, this looks amazing! I just received my first bread pan so I might need to try this this weekend! Oh man this looks amazing!! I haven't had banana bread in so long! Looks so easy! I need to try this! YUM! This looks so delicious! I love that you don't need a mixer of any sort because that clean up is such a pain! I have to get some g-free flour and make this! Banana bread is my ABSOLUTE favorite thing in the world, with carrot cake and red velvet a close second and third. I have to make this recipe, it looks TOO easy! It's like you read my mind because I have a few overripe bananas that I've been meaning to use for banana bread - I love how simple this recipe is for it. Thanks for sharing, girl! Oooooh, yum! I have to admit that I've always been too intimidated to try making banana bread but this sounds SO GOOD! I will definitely try this recipe asap! This has officially made me hungry again this morning. Yum!! One of my fave treats! Love the addition of nuts & choco chips! Yum! The more versions of banana bread, the better! Yum! I'm definitely a fan of banana bread- I just need one of those little pans. Our kitchen game is seriously lacking! it's been so long since i've had banana bread. i saw a good, easy gluten free version i've been meaning to try. you've made me want to try it soon, yum! I'm drooling... I have literally been craving banana bread & banana pudding lately. YUM. I love me some banana bread!!!! :) I need to make this soon. That looks so good! I could totally go for a few slices right about now! Yum! Banana bread is always a delicious treat! That looks so moist and delicious! Definitely trying this one this weekend! oh drooling I looove banana bread! I've never attempted to make banana bread but this looks so good! Thanks for sharing lady!! That looks delicious! Save me a piece! Your banana break looks heavenly! Is it crazy that I have never added chocolate chips to mine? Must try next time. Chocolate chip banana bread is one of my favorite things ever, this looks so good! OMG! The first image I said out loud "ooooh" and then the next image I say (again out loud) "ahhhhh". Then "yum". I'm at work and someone starts laughing, wondering WTH I am doing over here. Serious mouth watering going on over here ha! Thanks for sharing this, Banana bread is one of my faves ! I feel like it has been so long since I have had banana bread and this looks so delicious! Banana bread is one of those smells/tastes that you recognize instantly! Mmmmmm drool! Yummmm I love banana bread. With a little smear of peanut butter? Perfection. Thanks for sharing your recipe! So much yum! I love love love banana bread (: Thank you for sharing your recipe! Yum this looks delicious! Hope you have the best time on your trip! This looks absolutely delicious! I am definitely trying it this weekend! I really dont like bananas or banana things but my mum does and she LOVES banana bread in particular. I will send this to her she will love it.